Manchester United's season started with Jose Mourinho moaning about the lack of transfers. He was not happy with the United board. Time and again, he had publicly questioned the United centre-backs and spoke about the lack of leaders in the team. Soon enough, come December, Mourinho was on his way out of the club. 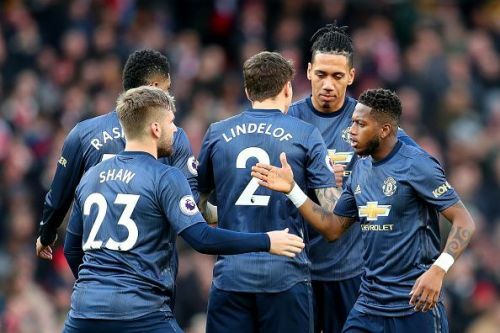 With the arrival of Ole Gunner Solskjaer, there is a renewed sense of self-belief within the team. His aura of positivity rubbed off on the team, and it has worked wonders so far. But pundits have made it clear that there is a lot of room for improvement within the team and that the club needs to spend heavily in the summer to be in contention for titles. Which are the areas in which the current team needs improvement? Let's take a look at three key positions badly in need of reinforcements. There have been numerous occasions this season, wherein the centre-back pairing has not worked for the club. Mourinho's greatest headache was finding a solid pairing in the heart of the defence. In his final months at the club, Victor Lindelof became a constant factor in the team. He has improved considerably and has been consistent over the recent months. In Lindelof, the club has a proper ball-playing defender. But sadly, the trio of Phil Jones, Chris Smalling and Eric Bailly has not performed up to the expected standards. 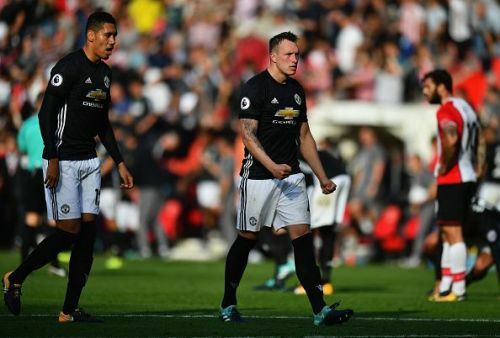 Smalling and Jones, both veterans at the club, have been consistently inconsistent over the years. They cannot be trusted upon and are known for their silly mistakes. Bailly showed a lot of promise in the initial games, but his lack of calmness on the ball and his positional play has led to plenty of mistakes. His recent outing against PSG in the Champions league pretty much sums up his United career. The less we talk about Marcos Rojo, the better. Kalidou Koulibaly and Harry Maguire are the prime candidates for the role. Reportedly, Mourinho was keen on bringing in the $90-million rated Napoli defender on board. Koulibaly has been pivotal for Napoli at the back this season, and at the age of 27, he will be a solid buy for the club. The club had an interest in Maguire at the beginning of the season, but the asking price set by Leicester drove them off. His experience in the league makes him one of the top targets for the club.